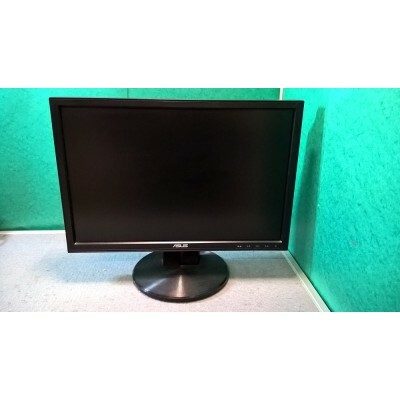 ASUS VW199D 19" monitor in 'Grade A' condition with only a few minor scuffs on the bezel and base. The photogaphs shown are fully representative of the item you will receive as we have more than one monitor available. Please note that as we are not the original suppliers of this monitor we cannot guarantee that it has the original screen so although we can test it for resolution we cannot check any other specification. If this is likely to be an issue for you please do not buy. We fully test and grade each monitor prior to dispatch. We also provide you with a 30 day RTB warranty. Please note that deliveries are Monday to Friday only and do not include any weekend deliveries. We are also unable to deliver to the following postcodes: PH19-44, PH48-50, IV, KW, PA20-88, ZE, KA27-28 and HS. We will post the item within 1 working day, for example if you buy on a Friday after 1pm, Saturday or Sunday, we will post on Monday (unless it is a bank holiday and then it will be a Tuesday).